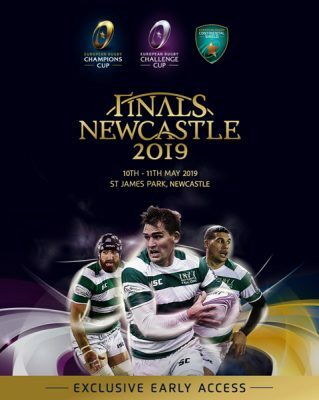 The European Rugby Finals Weekend is coming to Newcastle in May 2019 and as a valued NGI partner you will have the first chance to secure your tickets to both games! Starting from 10am on Wednesday 9 May, NGI partners will enjoy an exclusive priority window to buy golden tickets which will offer fans the same seat for both European Rugby’s showpiece finals – the Champions Cup Final and the Challenge Cup Final – as well as saving £10 overall! Joining Newcastle Falcons and Newcastle United season ticket holders and those eligible via the tournament organisers, sales for golden tickets open to NGI partners at 10am on Wednesday 9 May and will continue until 10am on Tuesday 15 May. It’s a brilliant opportunity to see two world class rugby games at great value prices. Click here to to secure your tickets or click here for more information.